In addition to the new uniforms, families are able to shop the assorted gently used clothing at CAP. All of these items are provided to families for free thanks to generous donors. 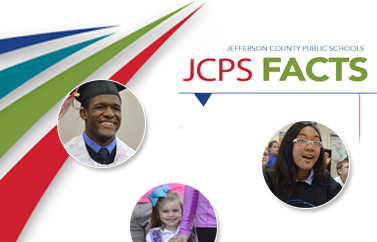 All requests must be scheduled in advance through a JCPS Family Resource and Youth Services Center (FRYSC). To schedule a visit to CAP, contact your child’s school and ask for the FRYSC or call (502) 485-3703. CAP also provides families with vouchers for students to receive an eye exam, new lenses, and new frames. To acquire a voucher for an eye exam and new glasses, contact the FRYSC at your child’s school. CAP is a partnership between the 15th District Parent Teacher Association (PTA) and JCPS. To donate clothing and accessories or to volunteer, call (502) 485-7062.